Greek musician Yanni will return to the Abu Dhabi on February 14 for a show at du Forum, Yas Island. The award-winning composer, keyboardist, pianist and producer, who has topped Billboard’s Top New Age Album category with 16 albums, will perform his new song, ‘When Dreams Come True’, for the first time in the UAE. He will also perform hits from his two Grammy-nominated albums, ‘Dare to Dream’ and ‘In my Time’. The 64-year-old global artist is no stranger to the UAE, having performed around its emirates regularly. More recently, he held a show in Dubai in 2016. Yanni, who recorded his first album in 1980, is also known for performing at historical spots around the world, from the Taj Mahal, China’s Forbidden City and the Egyptian Pyramids to Dubai’s very own Burj Khalifa. 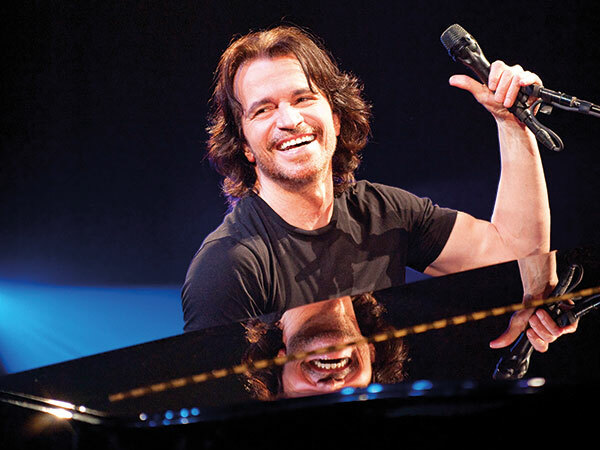 Tickets to see Yanni at the du Forum, available from January 16 at noon, range from Dh495-Dh1,295. Yas Marina is offering all ticket holders a free bus ride to du Forum (pick-ups start at 6.30pm). Shuttle busses will also run post show.